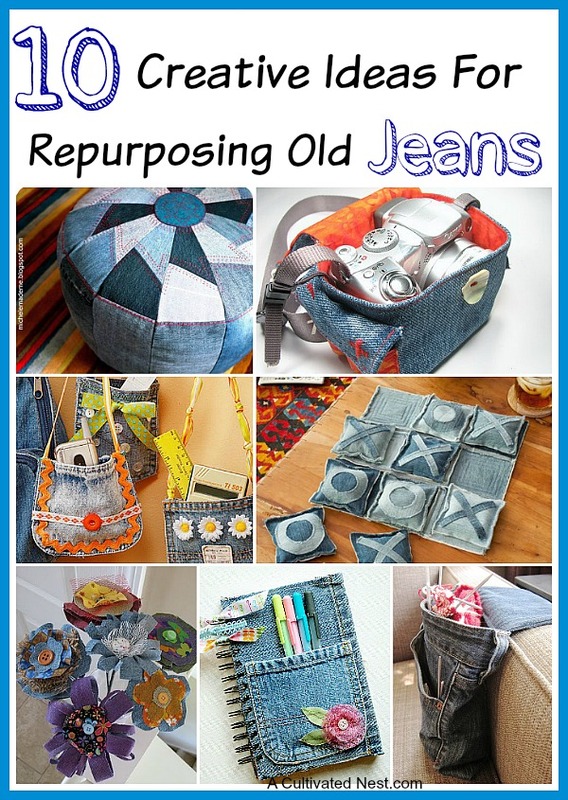 Great Ideas For Upcycling Those Old Jeans is one of my most popular posts so I thought I’d see if i could find some other ideas for repurposing old jeans. I tried to find ideas that go beyond the normal making a bag or skirt out of them. So if you have some old jeans, don’t throw them out! 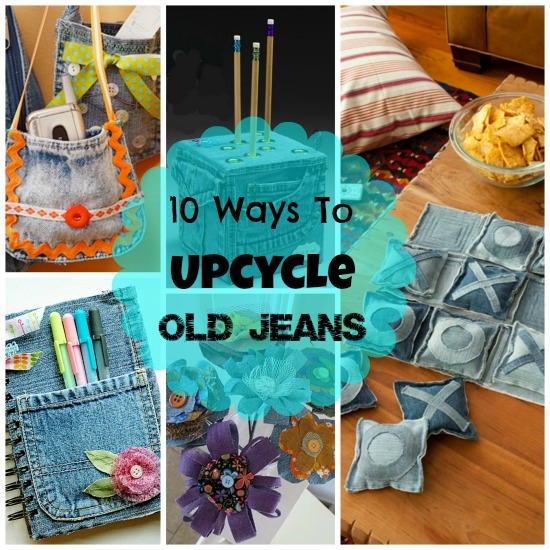 I’ve collected some of the best creative ways to repurpose old jeans. This is so pretty! I’m sure most teenagers would love this. 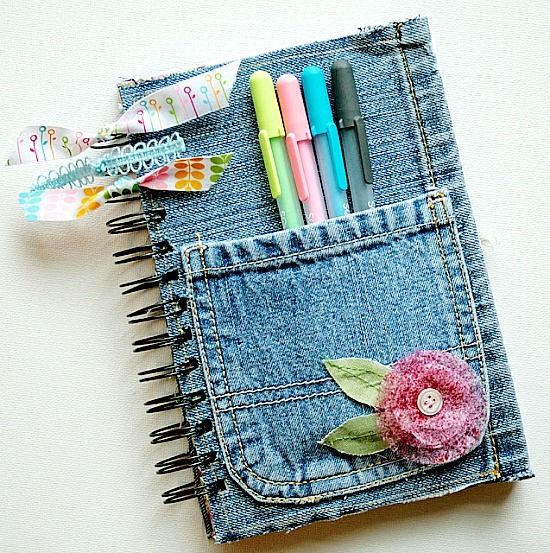 Make a pretty denim covered journal from Life Made Creations. 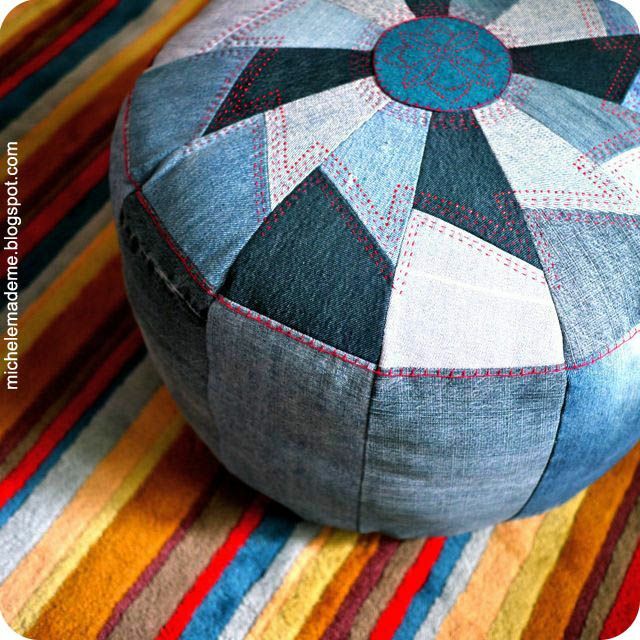 If you’re looking for a more challenging project, try this denim pouff from Michelle Made Me. She has a great tutorial. 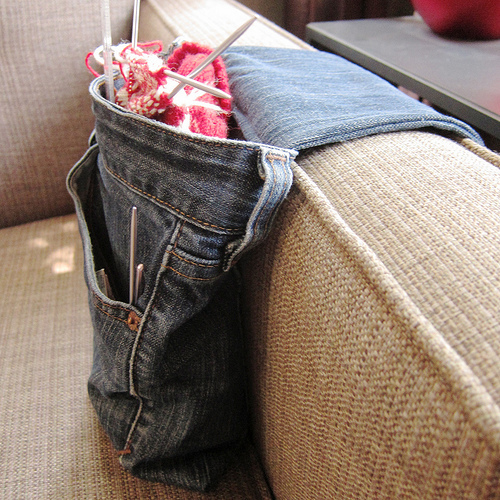 What a great idea for repurposing old jeans! 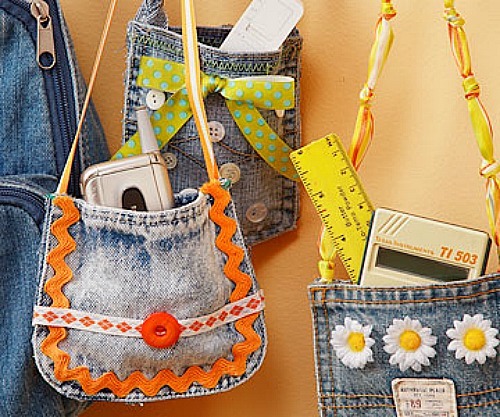 Make cute little denim pocket purses from BHG. These would make such cute gifts! 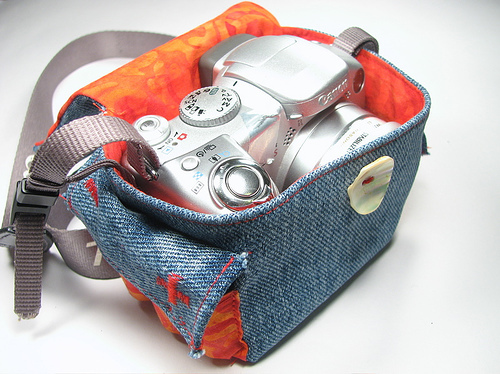 Hope you’ve found some inspiring ideas for repurposing those old jeans! 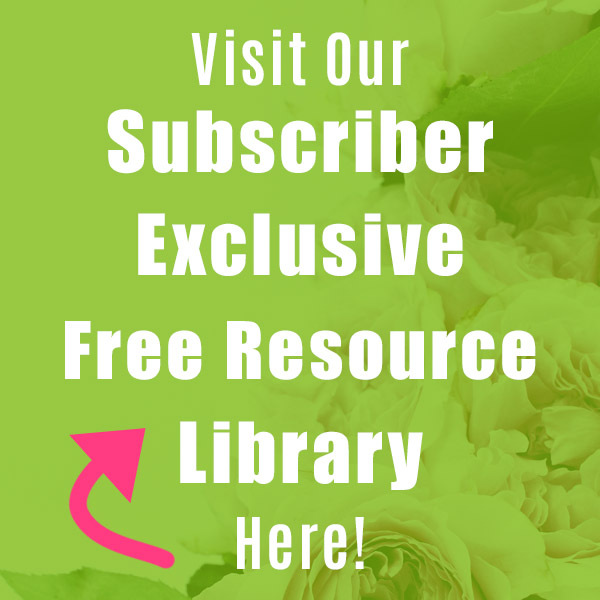 Check out my Upcycle Board on Pinterest for more ideas! Thank you Rhonda! 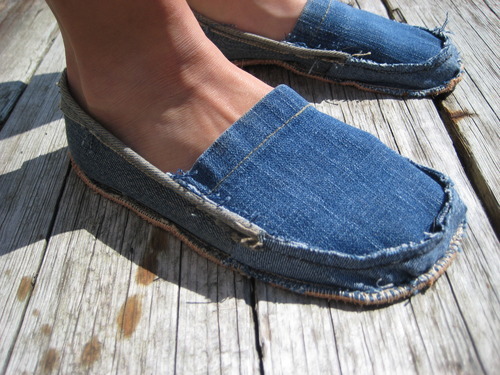 Seems like everybody has old jeans and most people don’t know all the wonderful things you make out of them. It’s such nice sturdy fabric! Those are all so cute. I just came from a Sisters On The Fly campout where there was a lot of denim. We had a ‘garage sale’ with things some of the gals had made and collected. These would have been a big hit. I’ll have to think about making some for next year. Thank you for such a clever idea! I have been saving my boys old jeans wanting to make a rug. Love to see all your ideas. Cute ideas Manuela. Thanks for gathering them up for us. Your rug idea sounds good! I did see a couple of rugs that were braided when I was looking for ideas. I have some photos of an apron made from old jeans too…it’s really cute. Great ideas! 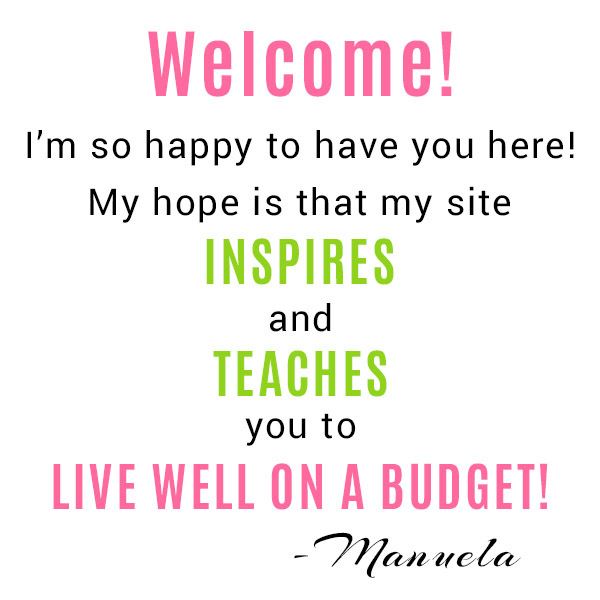 LOVE the journal:) Have a blessed evening dear Manuela, HUGS! OK, I’m totally floored by these ideas. 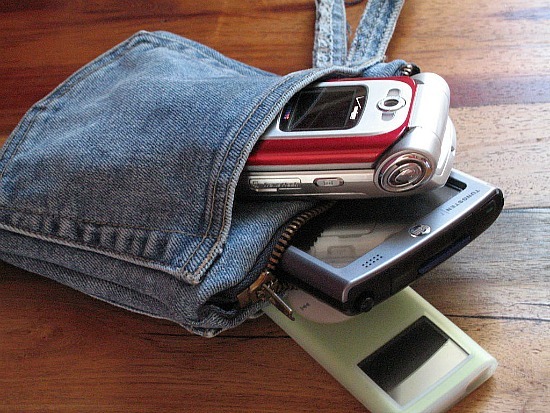 I love that notebook cover one and any of them that utilized the pockets. 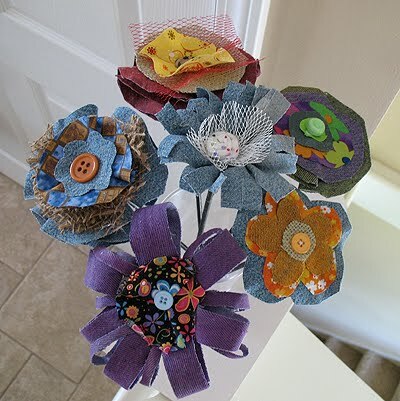 I also think the flower one would make a wonderful fall wreath with countryside colors. In fact, I’m planning to do one myself. My brain is just clicking clicking clicking with the idea of it. 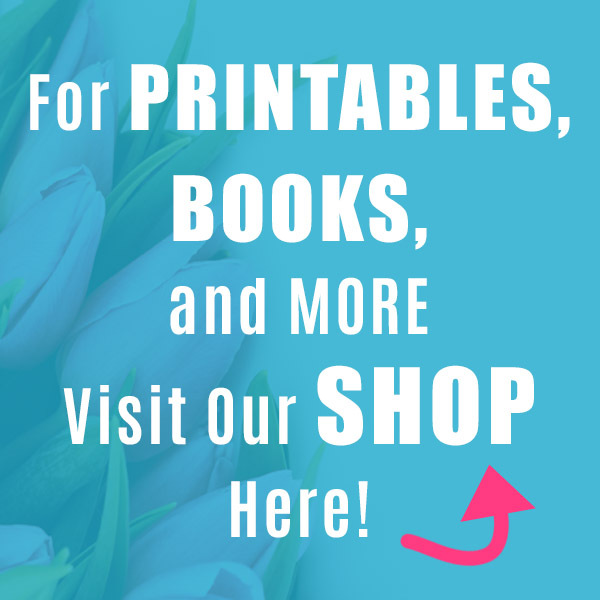 Thanks for including my flowers! 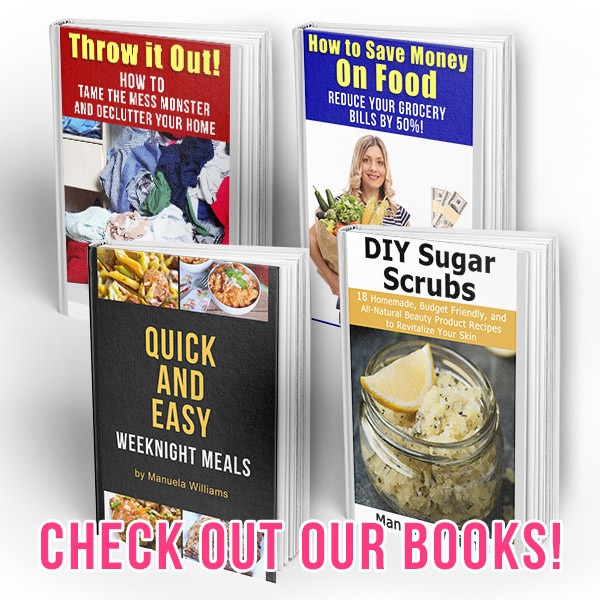 This is an awesome round up, I’ll be pinning! 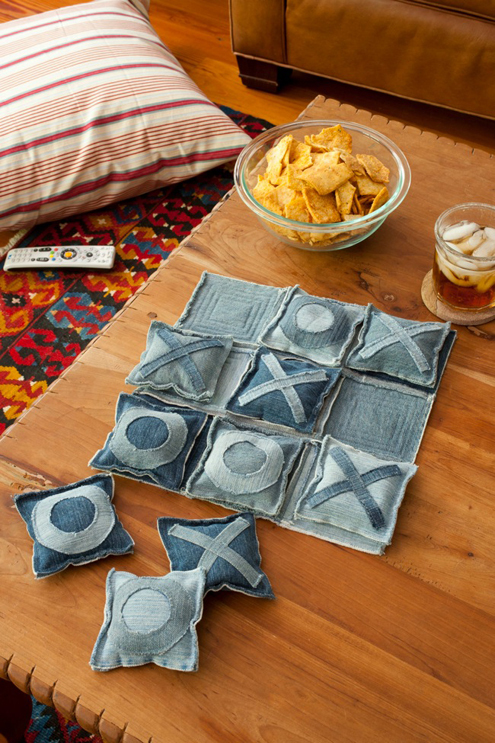 LOVE the tic-tac-toe idea! I will definitely be making that for our game room and maybe an extra for the car! The kids would love it 🙂 Thank you! Very cute ideas! 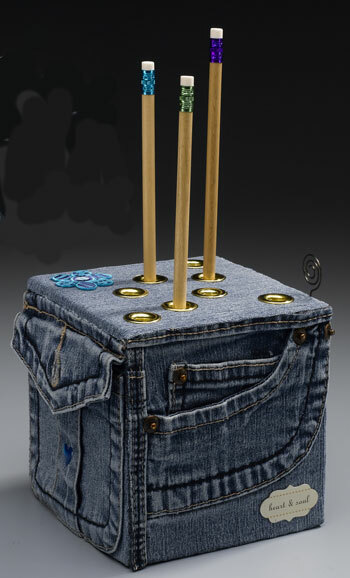 I have also seen these woven jean bags that I want to try. It looks like a lot of work, but they look so wonderful! I just pinned this. I love all the different ways to use jeans. Such great ideas! I love the denim covered journal. Super chic for a teenager. Such fun and cute ideas. My favs are the little pocket purses and the tic tac toe game. Thanks so much for featuring my denim covered journal. These are all really fun ideas! I just love all these don’t know which one to make first.